You may have heard the new buzz in the WordPress world. There is something coming. Something called Gutenberg. What is Gutenberg? 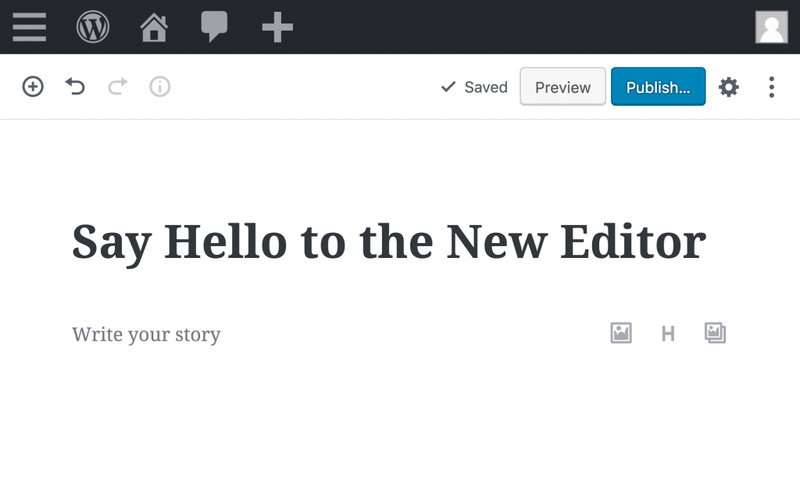 It’s the new editing environment in WordPress and the impact it’s going to have will be HUGE! The OCD in me to be honest is slightly freaking out, I am not a fan of change but after looking in to it I am seeing the positive side, gone are the days of those dodgy spaced out paragraphs and ugly images! Previously wordpress consisted of a one page editing system with not much room to customise. The new editor replaces the need to install extra heavy plugins, It also has a drag and drop editor allowing for better titles, paragraphs, image placement and buttons as well as better galleries, Hooray! Ofcourse will all things their is always a downside. Existing content could be effected so you may need to go through all your current pages and check them all. Also the responsiveness of the columns is still a work in progress, hopefully this will continue to improve in the future. But overall I think we are going to love it! Want to test it out first? Check out this site which lets you edit in a live environment, view the website HERE this is a handy website to help you get the hang of the new editor without effecting your own website. So what does this update mean for you? In the next 1-2 weeks the new wordpress 5.0 will be rolled out along with the new Gutenberg editor. I would suggest you disable wordpress automatic updates to avoid any nasty surprises, if you do not know how to do this contact your host or Hatched Designs. After this ensure you run a back up, we recommended updraft plus. Backups should ALWAYS be ran before any major update. After a backup is performed update to wordpress 5.0 and then check your site pages to make sure everything is still looking as it should. Due to the new editor you may find some pages require a little tweaking. Then have fun testing out the new editor! If you get stuck feel free to get in touch. But what if I don’t like the new editor? Not all of us like change ( like me ) but never fear wordpress has provided options to switch back to the old editor. There is also a classic editor plugin coming soon. But I suggest giving the new editor a go. Take the plunge embrace the change! Summing up in my opinion the pros far out way the cons and I think it will be a good upgrade to wordpress. Need some help with wordpress? Check out Hatched Designs WordPress care plan. Do you have a WordPress Care Plan? © 2018 All rights reserved. Hatched Designs. Sign up to our mailing list and get a free "A4 Daily Business Planner Printable"